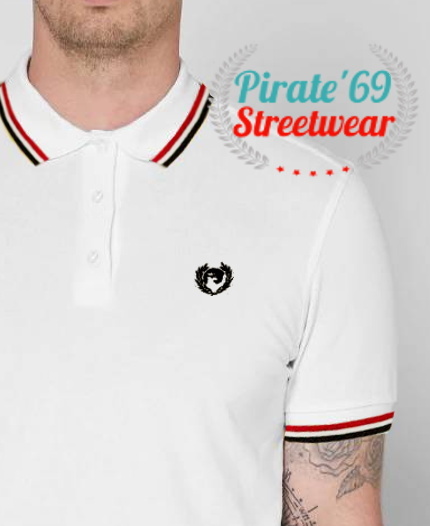 Pirate 69 Streetwear, Clothing for Skins, Mods and Rude Boys, English Subcultures Trends. Brands you love at LOW prices! 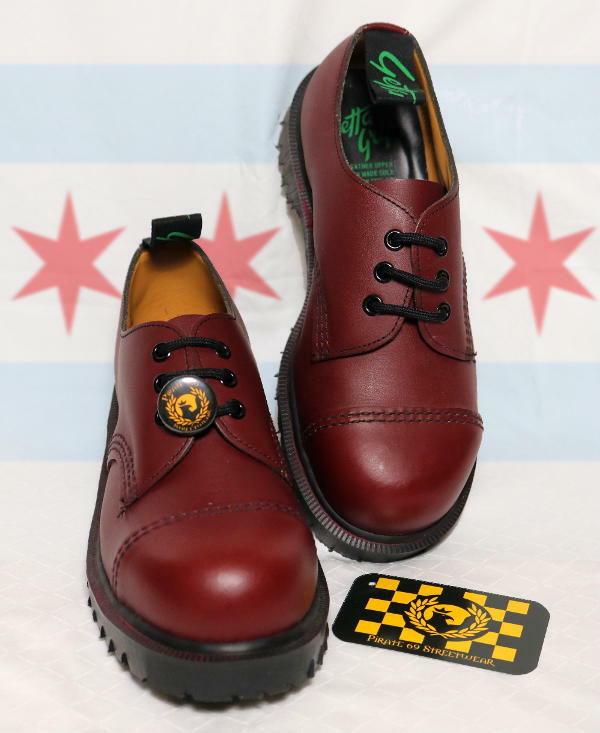 The Skinhead subculture represents the working class. Its roots go way back to those moments when the first Skins, black and white, battled to find their place in society. Thanks to them, today we have become warrior brothers and sisters, always proud of our style and beliefs, dressing sharp and clean, and ready to bovver. 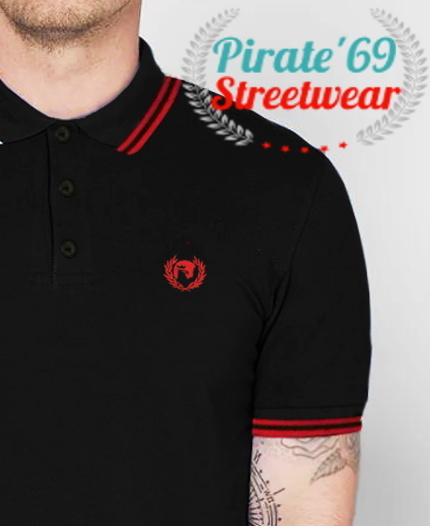 Pirate '69 Streetwear was founded in 2001 by trading with the most rare and priceless garments in the Skinhead/Mod/Rude-Boy scene and by making them attainable at a "working man's budget". The value of our rarest and hardest-to-find clothing, shoes and accessories extend far beyond money because are loaded with historical and fraternal meaning; they are a symbol of generations of camaraderie. Our ideal as a trading company is to help maintain and protect Our Way of Life by keeping our scene alive and stylish. 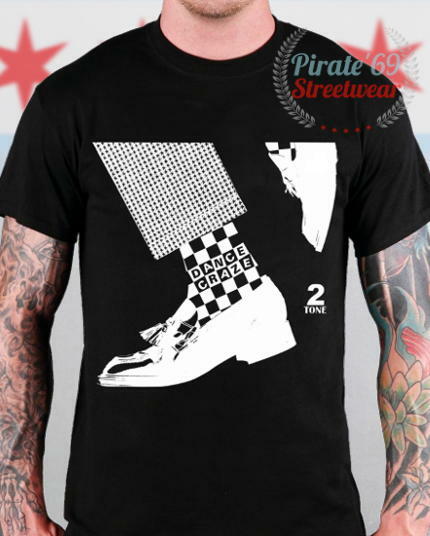 The Skinhead fashion evolved from the Mod Fashion during the early sixties and became a staple for many working class young people in 1969 and on. 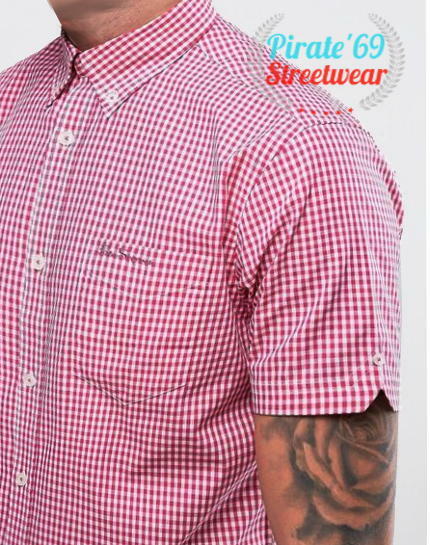 With a smart clean look, short cropped hair, Ben Sherman button-down shirts, Sta Prest trousers, spit-shined Dr Martens, narrow clip-on braces and a great appeal for raising some bovver, Skinheads fought and found a way into the hearts of many. 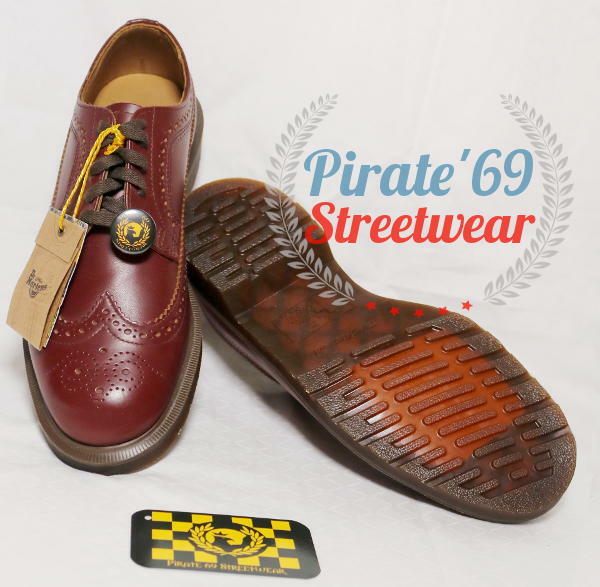 Pirate'69 is dedicated to all true Skinheads, past and present, who know deep inside that our culture is not just about a haircut or about the clothes; it's a way of life that prides itself in our camaraderie and unity regardless of the color of skin or religious beliefs. We do not associate, nor support any kind of anti-immigrant views, prejudices or supremacy. In fact we love all color of Skins (pun intended!) The fact that the Afro-Caribbean Rude Boys and the English working class youth created together what we know today as the Skinhead Subculture proves that point, so please leave your politics by the door. Often, knowing your measurements--and comparing them to those of the item available for purchase online--is the only way of knowing whether the item you aren't at liberty to try on will fit you. 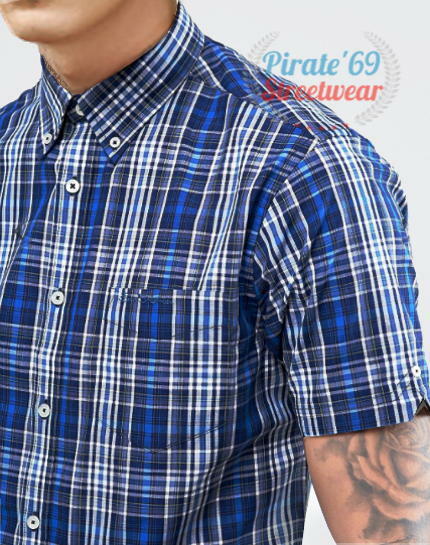 Measurements can vary from item to item, depending on the brand, type of fit, year released, country of manufacture, etc. 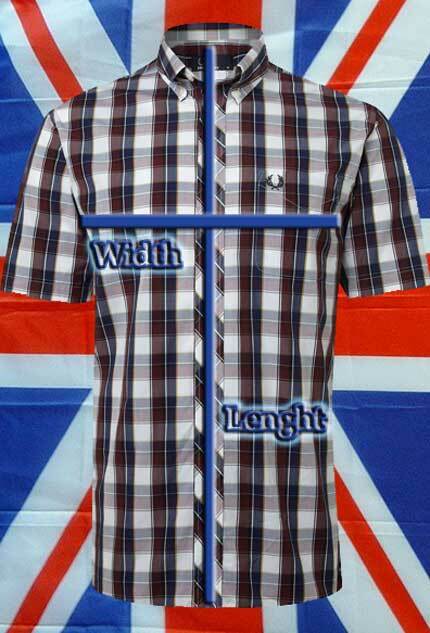 For example, some Ben Sherman shirts fit very tight, others have a regular fit and others are extremely wide. 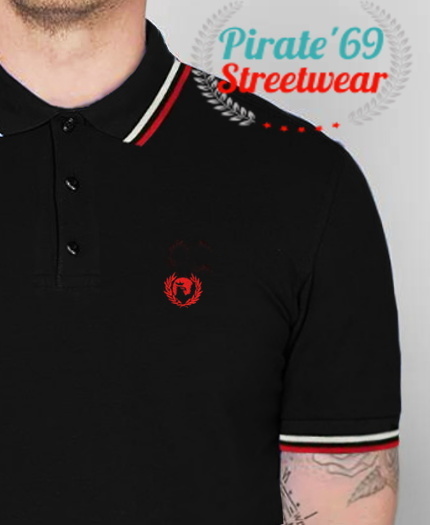 The same issue can happen with polo shirts, t-shirts and footwear. 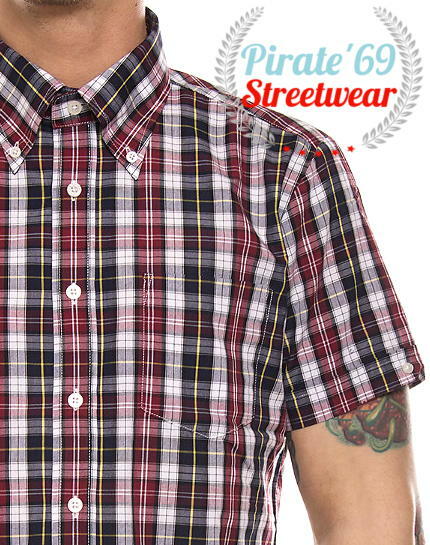 If you have sizing questions before your purchase you can email us to thepirate_69@yahoo.com. 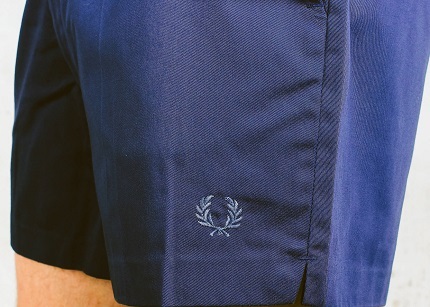 For optimal shirt and polos fitting please follow these instructions: Take one of your best fitting shirts and lay it flat on a table. 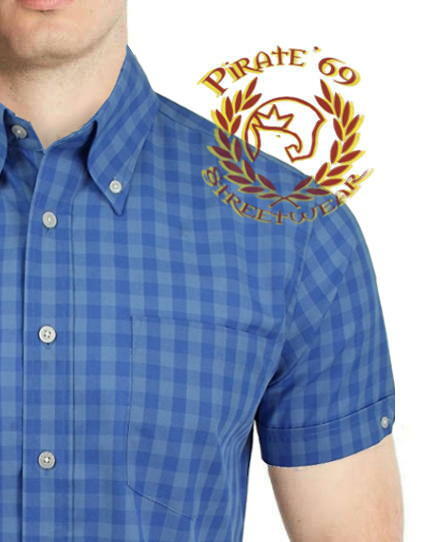 Then measure its chest and length following the image below, compare to the measurements given by the description of the shirt you want to purchase or email us in case the measurements are not given. For footwear, please measure your insoles and compare to the measurements given on the item desired. Discount taken at checkout, No promo code needed. Limited time offer. 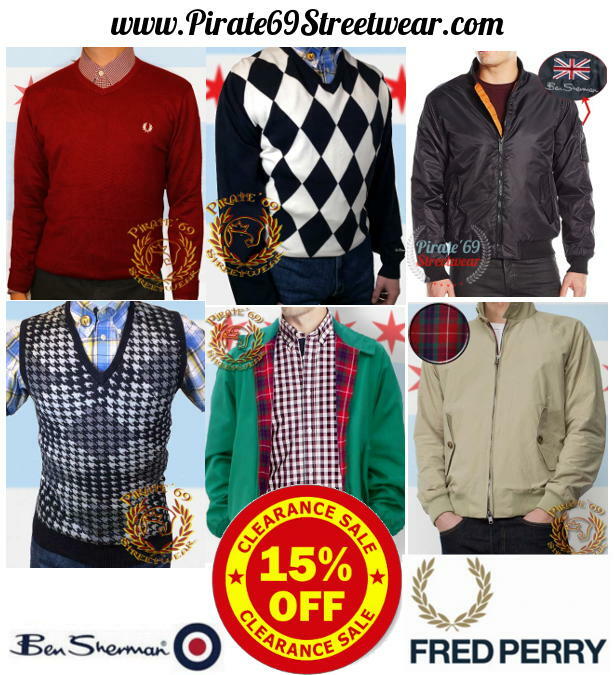 SPRING CLEANING Limited Time Clearance Sale. The easiest and fastest way for ordering within the US and Worldwide is by using Paypal. You choose to pay with a Credit Card, Debit Card, e-check or your own Paypal funds. If you have a US bank account, you can send us a payment using Zelle. If you do not have a credit card or debit card handy do not panic! There are other methods. Please e-mail us the list of items you want to buy and zip code (if within the US or Canada) or City and Country if you are anywhere else around the world. We will contact you as soon as possible with the instructions. You can then send your payment by choosing one of the following: Chase QuickPay, Western Union (or any other money transering service in your Country), Money Order, Cashier's Check, or well hidden Cash $$. Click the ADD TO CART button close to the item(s) you wish to purchase. When ready to check-out click on the VIEW CART button at the top of your screen and proceed to click on the CHECK OUT button. Follow the instructions to pay securely with your credit or debit card via paypal (you don't need an account with them). When done, PayPal will e-mail you a receipt, and your package will be soon on its way. Please make sure your paypal ship-to address is confirmed , which means that the credit card billing address and the shipping address provided to us is the same. This ensures a safe transaction between you and us. In most cases if your address is wrong or unconfirmed the item will be returned to us. But in other cases the item could get lost on its way. For this reason, we will not be liable for any lost item shipped to an unconfirmed or invalid address. We suggest that you purchase insurance. 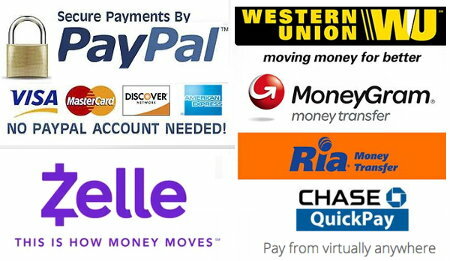 As said above, the easiest way to pay is with Paypal, if you want to mail a money order or cashier's check please make sure it is payable in the USA with US dollar currency, and follow the mail ordering steps above. Some International Orders have additional shipping charges, please check below for rates. Basic Tracking information (via customs number) is available for free for some countries such as Canada, UK and others. For most other countries, delivery confirmation or tracking number has an additional charge. Therefore, we will not add a tracking service unless you email us before placing your order and ask for this option. Please note that the fee varies according to your location. International buyers, when you purchase heavy items please expect to add a fee depending on its weight. 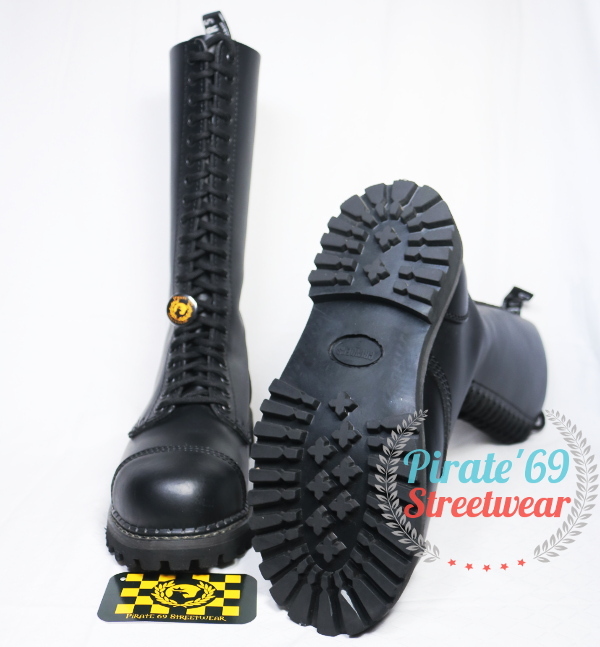 $15.00+ for Jackets, $25.00 to $30.00 for non-steel boots depending on size, or $30.00 to $48.00 for Steel Toe boots depending on size (USPS has issued a new rule for International mail weighting over 4 lbs, these packages have to use either Priority Mail or Express Mail). If you have questions please e-mail us, We will get back to you as soon as possible. 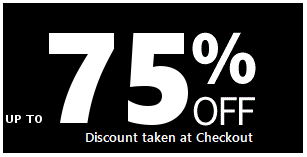 We will ship your order within 72 hours after receiving your payment or clearing funds. Please note that, within the US, it usually takes 6 to 10 business days for your order to arrive at your doorstep, but in some cases it may take up to 15 business days due to Postal Office's delays. Note that International orders might take longer. If the item you purchased says "Back-Ordered" please be patient. We will try our best to ship by the date stated but sometimes your package could be delayed due to Customs and Importing hold-backs that can take weeks sometimes. Changed your mind? 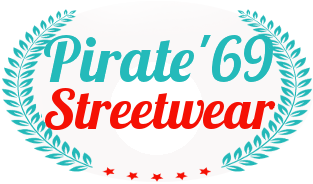 We�ll gladly accept unworn, unwashed, or defective merchandise purchased on Pirate69 Streetwear for return or exchange. If there is any problem with your order, please e-mail us, we will do our best to resolve the problem. If your return is received after 10 days, store credit will be issued. If you provided a wrong address on your payment please contact us ASAP. All return costs are the buyers responsibility unless we reach an agreement via email. A restocking fee of 15% could be charged.